Vet Doreen Corridan joins Emma-Louise Coffey on this week’s episode of The Dairy Edge, to discuss the benefits of measuring herd performance through milk recording. Doreen quantifies the economic benefit of milk recording to the tune of €23,000 from a 100 cow herd compared with herds that don’t milk record. With approximately 50% of dairy herds in Ireland, there are substantial financial gains to be achieved on many dairy farms across the country. Where is the additional €23,000 coming from? Doreen explains that cows in milk recording herds produced more 50 kg more milk solids. Furthermore, cows tend to have lower SCC, higher genetic merit, more days in milk, higher 6 week calving rates and a greater no of lactations. Doreen emphasises the ability to rank cows on profitability from most profitable to least profitable. This should guide farmers to select dams to breed replacement heifers and the poorest performing cows for culling from the herd. The number of milk recordings will between herds but Doreen suggests a minimum of 4 recordings should be carried out in the year. 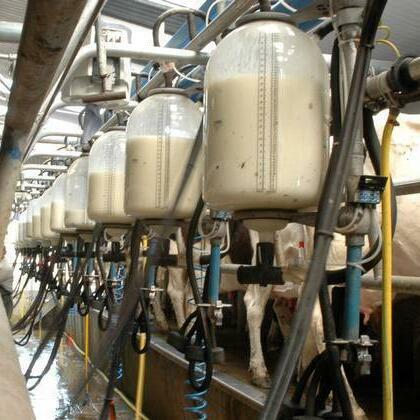 The first milk recording should take place in the 1st 60 days of lactation, with a guide date of mid-March. She could not emphasise enough the importance of this milk recording as it calculates the effectiveness or the cure rate of the previous dry period. Doreen encourages all farmers to milk record and take management actions based on results. The cost of recording 100 cows 4 times per year is €1,150 and will lead to additional profit of €23,000. Doreen reminds us that some co-ops have initiatives that supplement the cost of milk recording.